General trace and log analysis patterns allow application of uniform problem detection and solving approach across diverse software environments. This pattern language covers any execution artifact from a small debugging trace to a distributed log with billions of messages from hundreds of computers, thousands of software components, threads, and processes. 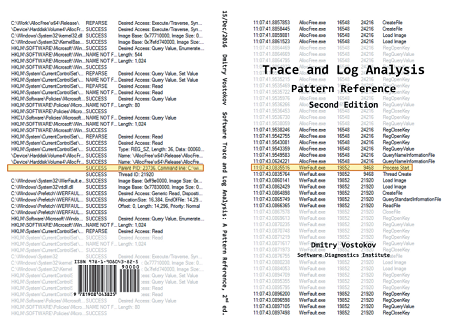 Pattern-oriented trace and log analysis is applicable to troubleshooting and debugging Windows, Mac OS X, Linux, FreeBSD, Android, iOS, z/OS, and any other possible computer platform including networking and IoT. Its pattern catalog is a part of pattern-oriented software diagnostics, forensics, prognostics, root cause analysis, and debugging developed by Software Diagnostics Institute. This reference reprints with corrections 133 patterns originally published in Memory Dump Analysis Anthology volumes 3 - 9 and Software Diagnostics Library. 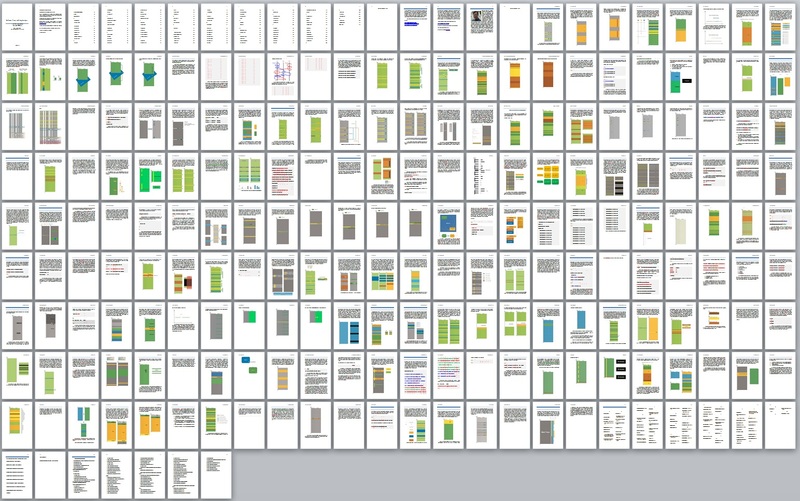 Full-color diagrams accompany most pattern descriptions. The second edition includes 33 more patterns and improved pattern index.